Space… the well-trod frontier – at least in board games. There’s good reason for that, though: Space is awesome, as are many quality, space-based games. 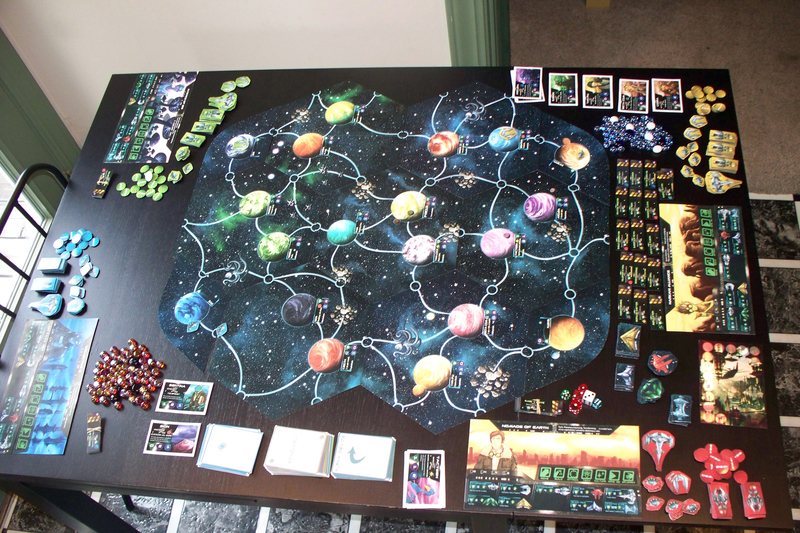 One space epic in particular has developed quite a buzz recently online – Empires of the Void, designed and illustrated by veteran board game artist Ryan Laukat. Ryan is responsible for quite a bit of art in Dominion, as well as Alf Seegert’s trollish masterpieces, Bridge Troll and Trollhalla. Ryan’s unique art style lends a fun flair to a genre that can sometimes feel a bit staid. In order for us to know more about Empires of the Void and the inspiration to the game, Ryan graciously agreed to the full Dice Hate Me treatment. It’s pretty easy to tell from all the starships and aliens that Empires of the Void is a space epic, and this is a very good thing. Can you tell us a little bit more about the gameplay and mechanics? 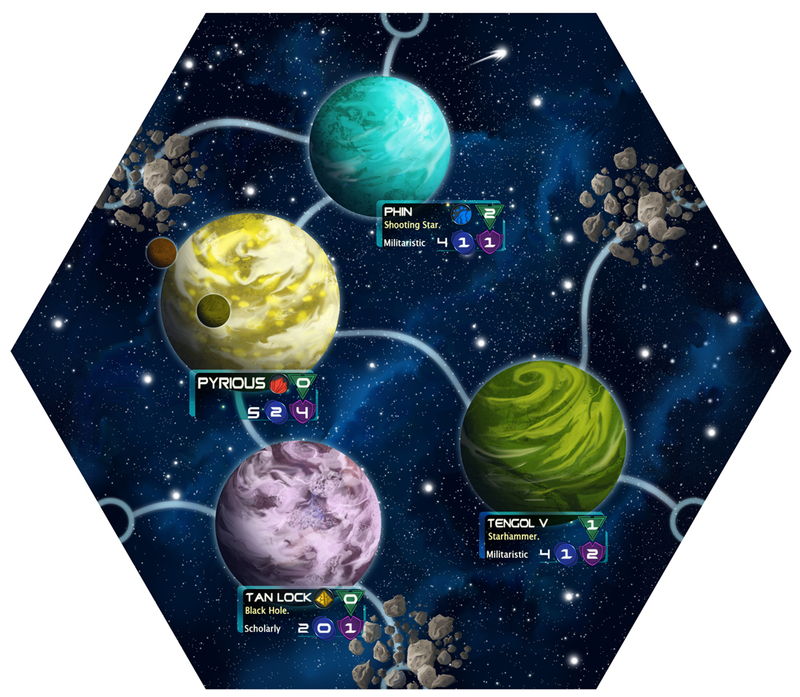 Empires of the Void is the epic space game I’ve always wanted to design. Something I’ve noticed in many games I’ve played lately is how mechanic-laden and rules heavy they seem to be. I tried to go the other direction for this game, looking for more of an organic and flexible design philosophy. The game uses an action point system, where every player has four actions on his turn, and may split them between a number of options. I like the flexibility of this mechanic, and the intuitive feel. This means that if I want to spend all my actions and fly all the way across the board in one turn, I can. Maybe I have a crazy strategy idea and want to try and conquer planets far away from my homeworld. This opens the door for a huge amount of options. 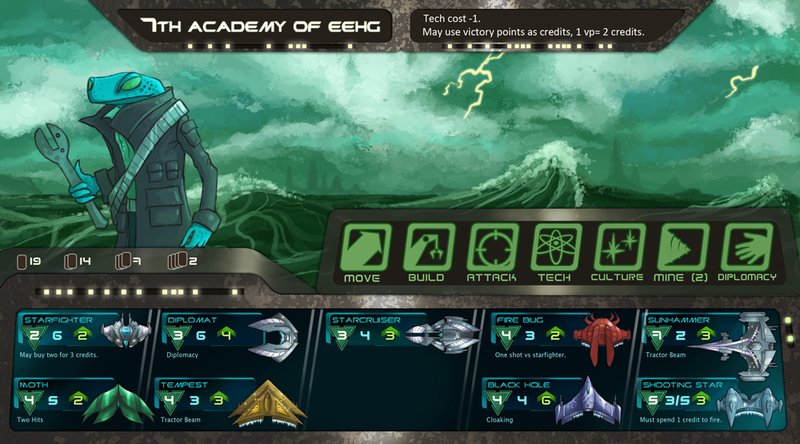 Players can move, attack, build ships, develop their culture, research technology, mine, and use diplomacy, and split their actions however they like between these options. 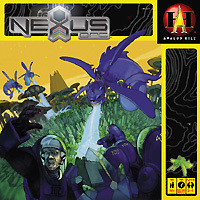 The combat uses an initiative system, much like the game Nexus Ops. So the fastest ships get to roll before slower ships, and deciding the composition of your fleet is very important. You need the big ships to score hits, but you need smaller, cheaper ones to take the hits so you can keep the big ones around. One thing I like is that every player only starts with the ability to build four of the ships. 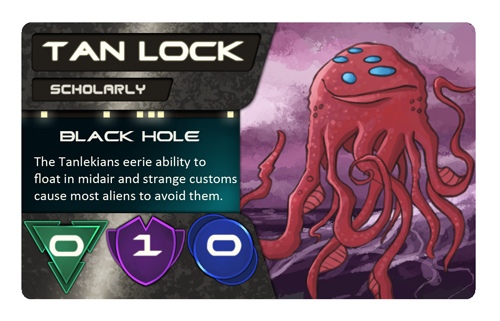 The rest of the ship designs are only available when you ally with certain alien races on the board. I’m sure that you’ve gotten many comparisons to other games with a similar theme, such as Galactic Emperor and Twilight Imperium. What will set Empires of the Void apart from those games? The thing I’m most excited about in the game, and the reason I decided to go ahead and start working on it, was the option players have to conquer or befriend neutral alien races. I thought it would be cool to decide if you wanted to be the cruel, conquering sort of race or the friendly, diplomatic race, or a mixture of the two. This is great for creating stories in the game, feels very satisfying, and I think sets the game apart from others of its type. I also wanted all the planets to have a unique alien, personality, and ability. I am a big fan of Star Trek and Star Wars, and one of the things I like about both are the huge array of strange aliens. I wanted to bring that into the game. What made you want to create Empires of the Void? What was the seed of your gaming idea? How long has Empires of the Void been in production? I’ve been working on it for around a year or so. One of the things that was hard to figure out was the balance between conquering and befriending. At first, diplomacy was a lot more powerful than conquering. In the first few games, it was fairly easy to get an alien race to join your empire, but conquering them took several turns, and then didn’t give you as much. The way it works now, if you befriend a race, it is a little harder, but you get everything the planet gives. If you conquer, it is easier, but the aliens are uncooperative and won’t give you their special ability or their influence on the galactic council. I like how this works into the theme and story of the game. Other than that, there have been only small changes, like starship balance. Are you talking with any specific publishers for production of the game, or do you plan to publish the game yourself with other funding methods, such as Kickstarter? Right now I’m in the middle of considering a few options, but I can say that things are definitely moving forward. Do you have a production schedule outlined? When can gamers expect to see Empires of the Void hit the table? At this point, I can’t really say anything for certain, but I’m hoping it won’t be a very long time. How’s that for specific? The art is looking fantastic. You’ve been creating great art for boardgames for quite awhile now – do you plan to handle all art duties, or will you work with others? Thank you! I’m very excited about how the game is turning out. I plan to do all the art myself. At this point, most of the art for the game itself is already finished, though I have some more starting alien races in mind, as well as more art for cards and other things. In eighth grade, I drew a picture of a toad holding a wrench in my notebook. Ever since then, I’ve been drawing toad mechanics and always find a way to include them into my designs. I’m not really sure why; it’s like some kind of weird obsession! What are some of your favorite games, both past and present? What games do you think directly influenced the development of Empires of the Void? My favorite game is Race for the Galaxy. I love that game, and it just doesn’t get old for me. I also like Puerto Rico, Nexus Ops, Blue Moon City, Twilight Imperium 3, Tikal, and have recently been playing Merchant of Venus. I think Nexus Ops had a lot of influence on the game. And I also have to say, my favorite video game is Starcraft, and I think that has always been an influence in one way or another in almost every one of my designs. I wanted the technology part of Empires of the Void to feel like it does in Starcraft. Are you working on any other games for future development, either as a designer or artist? I have probably four or five games with semi-completed art that I’ve been working on designing for years, but none of them are clicking yet. As an illustrator, I am only doing board game art for my own designs at the moment. I have a post-apocalyptic game I’d like to see move forward, as well as another game design I’ve worked on with Alf Seegert. Do you have any advice or tips for fledgling designers in getting their games published? I think the first thing I would say is this: you have to love it. Game design and game illustration is hard work, and generally isn’t a good way to make a living. But it can be a lot of fun and very rewarding. I absolutely love board games. There have been a couple of times where I’ve said, “Okay, no more designing for me. I’m done!” But I always come back to it. As for getting a game published, a good local group of game designers and good game testers can be invaluable. I’m a member of the Board Game Designers Guild of Utah, and they’ve helped me a lot with testing and also helping me meet the right people. The board game community has, in my opinion, some of the nicest and friendliest people around. One of the things that helped me a lot was going to conventions and meeting people in the industry face to face. That can go a long way in helping to get published. Dice Hate Me would like to thank Ryan Laukat for making this interview possible. 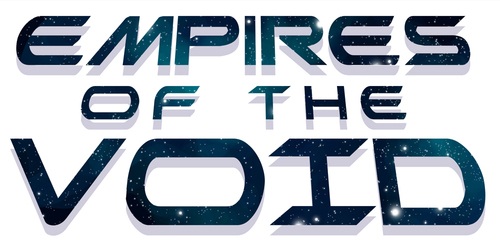 Be sure to watch for more previews and news about Empires of the Void on Dice Hate Me in the coming months! Nice interview! I look forward to playing Empires of the Void (epic name–I like it). Ryan did the art for Rails of New England and everyone raves about it. He’s a terrific artist, and his new game looks very cool. I want one!